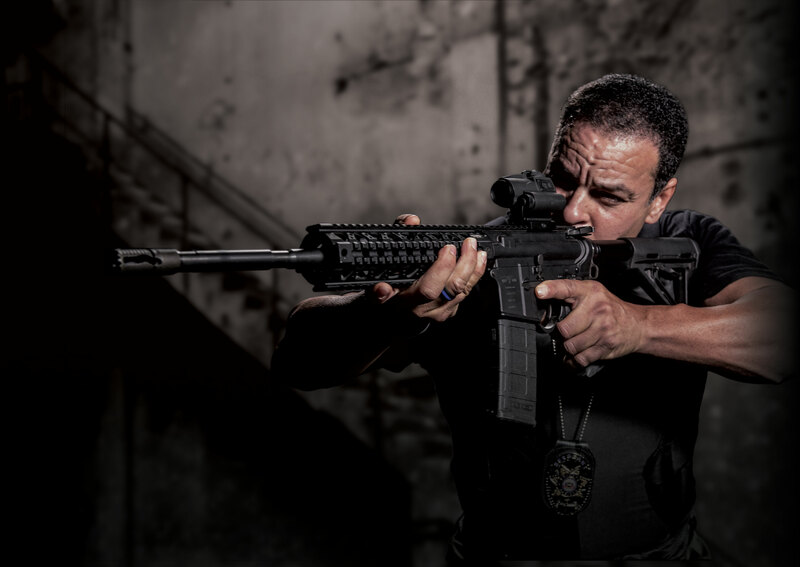 Designed for short-range engagements the Sightmark Wolverine FSR Red Dot Sight with Locking Quick Detach Mount is specifically built for the AR platform. 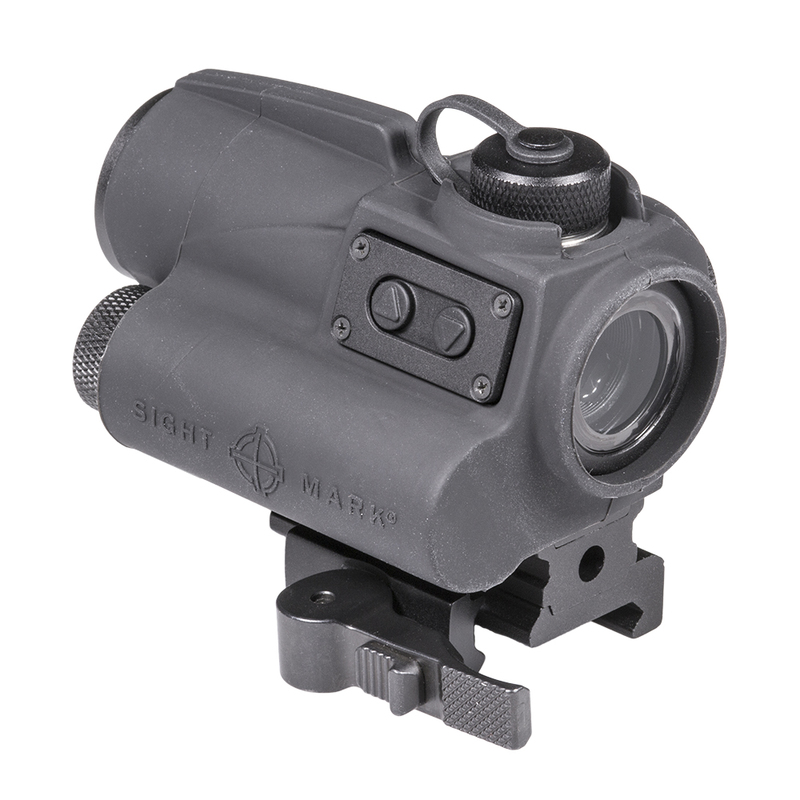 A digital switch controls brightness of the 2 MOA red dot reticle with a 28mm objective lens that is specifically engineered for more rapid target acquisition. The durable FSR model weighs only 12.3 ounces and is built for a lifetime of use. 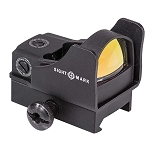 The rugged Wolverine line of sights from Sightmark delivers unlimited eye relief and first-class battery life using just a single AA battery in a durable shockproof design. The responsive Wolverine sights are housed in a single piece of 6061-T6 aluminum that is rubber-armored and protected by a scratch resistantanti-reflective lens coating. 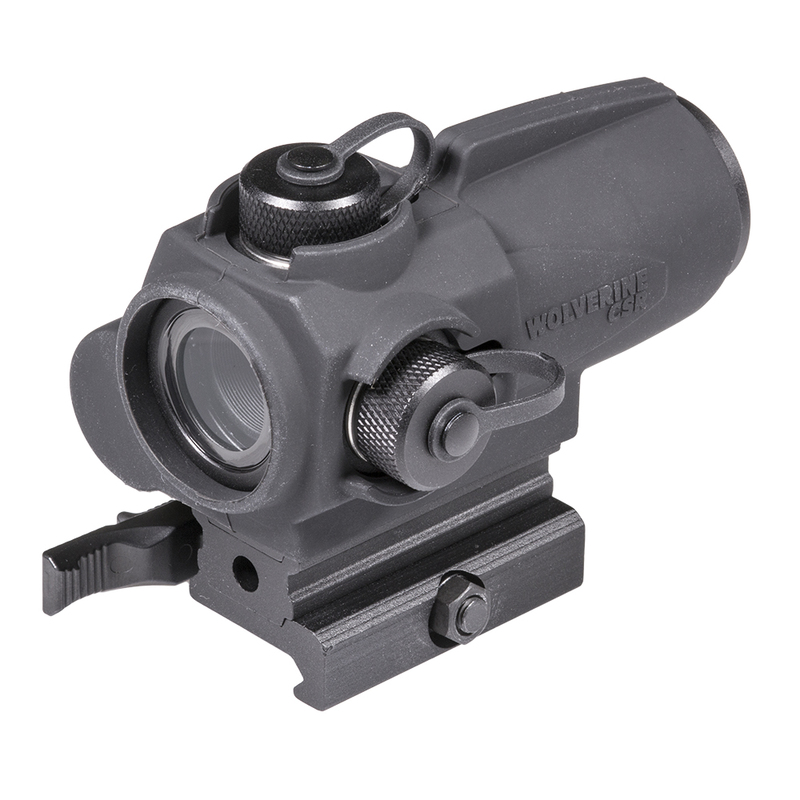 Fog proof and nitrogen purged the Wolverine family of sights is designed to provide shooters the ability to take aim in a variety of conditions and temperatures ranging from -22 to 122 F. The Wolverine was built to adapt and is ready for anything. Both models sport an IP67 waterproof rating and are submersible to three feet. 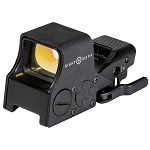 Wolverine red dot sights have an adjustable mount height and are compatible with Picatinny mounts. 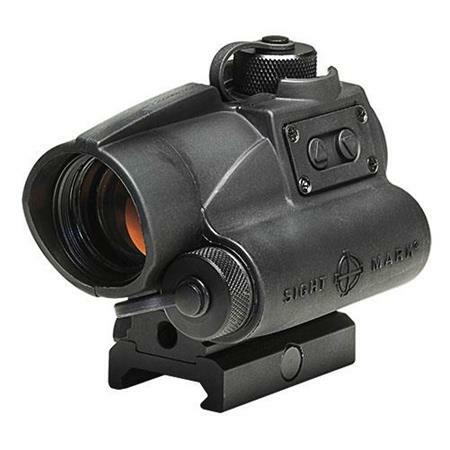 The Sightmark Wolverine CSR Red Dot Sight is designed specifically for shotguns and short-barreled rifles. 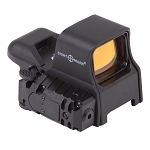 The CSR sports a 4 MOA red dot reticle with a 23mm objective lens and adjustable digital switch brightness controls. Compact and light, the CSR model weighs only 10.3 ounces, and along with the FSR, offers very low power consumption. 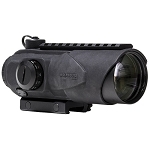 The CSR also offers variable brightness and night vision modes, which enables the ability to co-witness with a night vision sight. The all new locking quick detach mount ensures the sight remains secured to the weapon, but can be more quickly and easily detached. 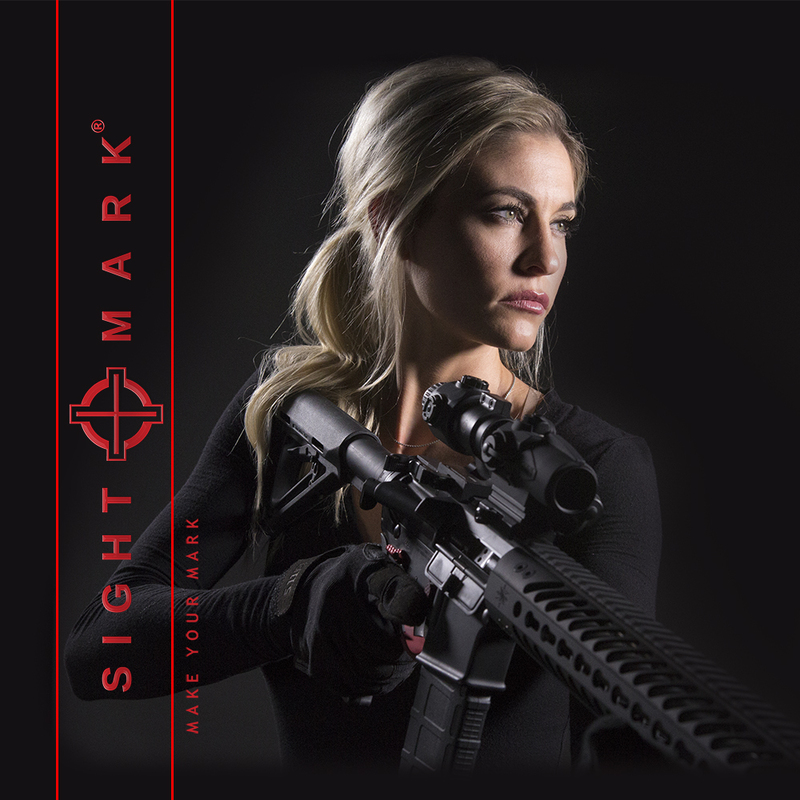 The rugged Wolverine line of sights from Sightmark delivers unlimited eye relief and first-class battery life using just a single AA battery in a durable, shockproof design. 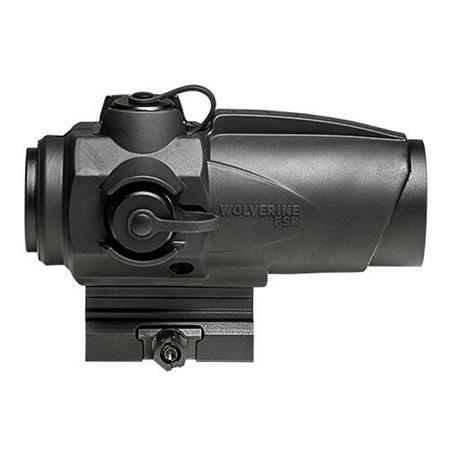 The responsive Wolverine sights are housed in a single piece of 6061-T6 aluminum that is rubber-armored and protected by a scratch resistant, anti-reflective lens coating. Fog proof and nitrogen purged, the Wolverine family of sights is designed to provide shooters the ability to take aim in a variety of conditions and temperates ranging from -22 to 122 F. The Wolverine was built to adapt and is ready for anything. Both models sport an IP67 waterproof rating and are submersible to three feet. 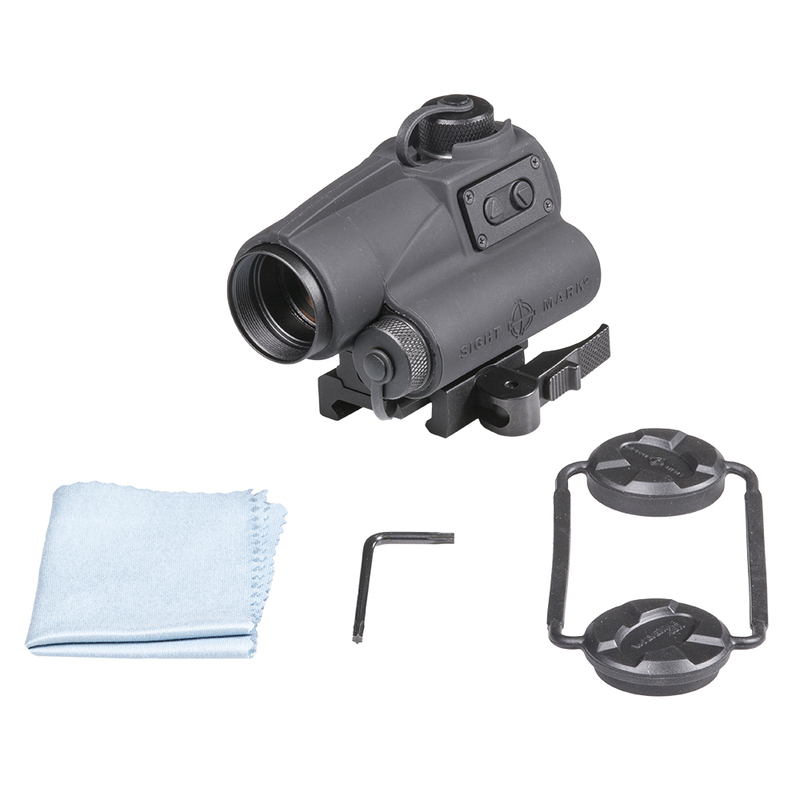 Wolverine red dot sights have an adjustable mount height and are compatible with Picatinny mounts.